Fish & Richardson, the powerhouse intellectual property law firm, filed an action in federal district court against Who's Your Daddy, Inc. (“WYD”) in order to foreclose on security interests the firm obtained on several trademark registrations owned by WYD for the mark WHO’S YOUR DADDY (including their apparent signature product, energy drinks, as well as for such products as cosmetics, jewelry, sunglasses and CDs, and “adult sexual aids”) See Fish & Richardson, P.C. v. Who's Your Daddy, Inc., Case No. 09-cv-01993 (S.D. Cal. September 10, 2009). 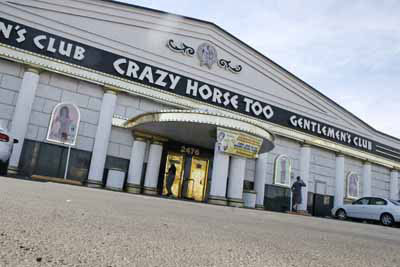 A copy of the complaint with exhibits can be downloaded here. In February 2005, WYD engaged F&R’s legal services (most likely in connection with a trademark infringement lawsuit filed by Who's Ya Daddy, Inc., the owner of the identical mark for clothing, against WYD in 2005 -- Who's Ya Daddy, Inc. v. Who's Your Daddy, Inc., Case No. 05-cv-00670 (S.D. Cal.). Unfortunately (but not surprisingly given that in litigation, the only parties that win are the lawyers), WYD fell behind in paying its monthly legal services invoices. In September 2006, the parties entered into a Settlement Agreement whereby F&R received a first priority security interest against WYD’s trademarks which was recorded by F&R through a UCC Financing Statement filed with the California Secretary of State on September 27, 2006. Nonetheless, WYD was still not able to make the payments required under the terms of the Settlement Agreement. F&R sued for breach of contract in California Superior court. After the action was filed, F&R recorded its Security Agreement against WYD’s thirteen trademarks with the United States Patent and Trademark Office (“PTO”). F&R eventually was granted summary judgment in its state court breach of contract action and the court awarded F&R $348,651.18 [ed. – litigation is expensive]. F&R now seeks to foreclose on WYD’s trademarks against which F&R recorded its security agreement by obtaining a court order directing the PTO to certify that F&R is the owner of WYD’s trademark registrations. With the economy hurting the revenue streams of so many law firms, perhaps F&R is looking to expand into the energy drink market by claiming ownership of WYD’s trademark registrations (and purpotedly the associated goodwill that goes along with those marks). 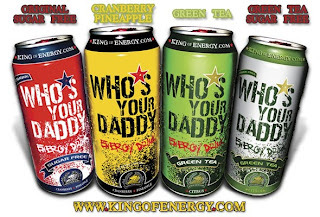 I can’t wait to try a Who's Your Daddy energy drink where Fish & Richardson is responsible for maintaining the quality control of the goods. Of course, an outright sale of the marks to an existing energy drink maker is the more likely outcome if F&R successfully obtains ownership of the registrations, but it’s an interesting image – law firm licensing its marks and overseeing the quality control of the goods. This could also just be F&R's efforts to force WYD to pay off the judgment under threat of losing its trademark registrations. Even more interesting is that even if F&R obtains the trademark registrations, are they really obtaining the underlying goodwill associated with the marks if F&R cannot also obtain and sell WYD’s particular energy drink recipes? If F&R resells the marks to another energy drink maker who then slaps those names on their own energy drink beverages, isn’t this misleading to consumers who are likely to believe the source of the goods and services is the same source that they have always known and associated with Who's Your Daddy brand energy drinks? In what will certainly be the most talked about court decision of 2009 for trademark practitioners, the Federal Circuit reversed the Trademark Trial and Appeal Board’s decision in Bose Corp. v. Hexawave, Inc., 88 USPQ2d 1332 (T.T.A.B. 2007), which found that Bose had committed fraud when it filed a renewal for goods that it no longer sold under the mark WAVE. See In re Bose Corporation, Appeal No. 2008-1448 (Fed. Cir., Aug. 31, 2009). Thus, we hold that a trademark is obtained fraudulently under the Lanham Act only if the applicant or registrant knowingly makes a false, material representation with the intent to deceive the PTO. The TTABlog® discusses the decision here (and make sure to check out the numerous comments), Finnegan provides a detailed summary of the decision here, while Registration Ruminations opines about the decision here.